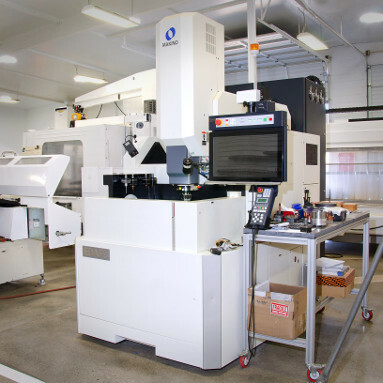 Visiting WET in Sun Valley, Calif., is not like walking into a typical machine shop. Yes, there are mills, lathes, grinders and EDMs. But they’re just one part of the business that designs, manufactures and installs some of the world’s most iconic fountains and engaging public displays of water, fire, fog and ice. The dancing Fountains of Bellagio at the casino resort in Las Vegas? WET. The 35-acre Dubai Fountain in front of the world’s tallest building, the Burj Khalifa? WET. Luminous, a water wall more than three stories tall illuminated by 5,000 LED lights in the entrance of the W Hotel Guangzhou in China? Again, WET. To produce these surprising and tightly choreographed experiences, WET holds more than 50 patents for lighting, water flow and compressed air systems that propel water as high as 500 feet. The company employs architects, artists, chemists, model makers, and lighting and sound specialists along with engineers who together create water forms not found in traditional fountains. The Dubai Fountain, for example, contains 6,600 underwater lights that can be seen by astronauts orbiting in space. WET co-founder and CEO, Mark Fuller, not only had a vision for the design and experiential aspects of the business, but also shared a deep appreciation for manufacturing and companies who take pride in building products in America. As such, WET employs its own internal team of manufacturing engineers to help bring these experiences to life. This team continuously strives to improve manufacturing processes to meet increasingly shorter delivery times and lower costs. Molds previously outsourced used to require six or seven weeks to produce. Today, WET burns its own P20 mold inserts in-house on the EDAF3 in as little as two to five weeks. The company also benefits from faster turnarounds during design and process development, accommodating engineering changes to existing molds in a time frame as short as one week. This level of efficiency has helped the injection molding department produce final lenses, reflectors and enclosures in time for final project installments. Leaders of WET considered adding plastic injection molding equipment and EDM machining to the company’s capabilities for more than two years. Their goals: better control of lead-times, improved part quality and reduced per-part costs. In 2015 they purchased their first injection machines while outsourcing moldmaking. Six months later they were ready to make a decision on EDM to enable WET to bring moldmaking in-house. They researched machines from five manufacturers and through that process began to focus on the EDAF3 because of its Hyper-i control, which features a modern, Microsoft Windows 7-based operating system and easy-to-use 24-inch touch-screen interface. Borrego, a veteran of manufacturing at companies building rockets to support the International Space Station, led the company through a cost-benefit analysis of each EDM manufacturer’s machines. “We didn’t want antiquated control technology. We wanted to maintain our technological superiority. We want to be at the forefront of manufacturing and to push ourselves,” Borrego said. Representatives of SST and Makino took Borrego’s team to visit some California machine shops with the Hyper-i control installed on their EDM machines. While WET had one operator with some previous sinker EDM experience, he was familiar only with older control systems. 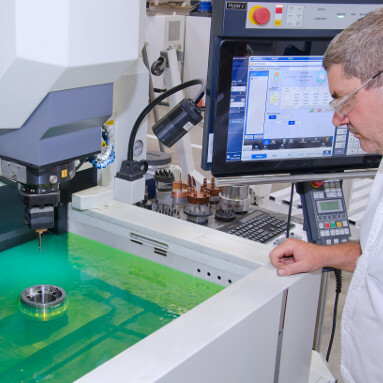 The company was essentially starting from scratch, so Borrego pursued EDM systems that would enable WET to quickly and efficiently implement new machining technology and processes. At the heart of Makino EDM machines is a robust and rigid structure that provides sustained long-term precision. The EDAF3 offers X-, Y- and Z-axis strokes to accommodate larger workpieces. The dielectric reservoir is built in to the base casting of the machine to improve thermal stability and also minimize the machine’s footprint, and chilled di-electric fluid is circulated through the Y-Axis and Z-Axis structures to maintain stable and consistent thermal control over the entire machine. Work-tank access is unrestricted on the EDAF3 with a programmable, three-sided drop-tank system, which simplifies operation and loading and unloading of workpieces. The EDAF3 is loaded with other Hyper machining technologies that deliver optimum productivity that Chris Syzmel, WET’s lead mold maker, said he’s just beginning to explore. Makino’s proprietary generator and adaptive power control technologies ensure efficient machining while achieving the highest level of accuracy and surface integrity. Dedicated settings such as HyperCut, SuperSpark™ IV and ArcFree empower the operator with practical tools to accomplish a wide variety of work. But it was Makino’s Hyper-i control system and familiar interface that attracted WET. The Hyper-i control contains intelligent, intuitive and interactive functions that are streamlined to assist the operator in every step of the machining process. It also enables easy access and selection of power settings to produce the most accurate results with the fastest-possible cycle time. By providing answers to simple prompts, and inputting basic data, even novice operators can generate efficient burn routines. Operators of all experience levels also can benefit from the control’s E-Tech Doctor, a software feature that gives guidance for adjusting cutting conditions to create the intended result. 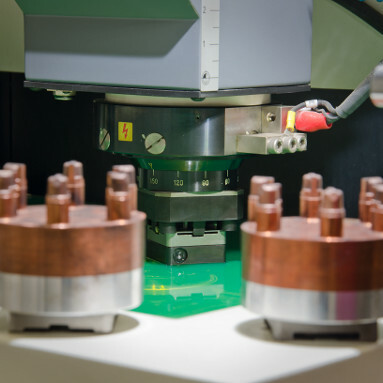 E-Tech Doctor offers machine setting optimization in sinker EDM applications to help reduce cycle times, improve surface finish, and enhance form accuracy. “You don’t have to run to a computer or dig up a manual to find answers. The control helps you solve problems at the machine as you are readying your processes. The on-screen tips also help you achieve shorter burn times and better quality with preconfigured settings,” Syzmel said. The Hyper-i interface uses touch-screen functions of tap, drag, swipe, pinch and spread to navigate software features. Gesture control gives the interface a simple and natural feel that is comfortable and efficient. More important, the Hyper-i control enables a basic user to do more with logical and easily utilized functions that equal the productivity and capability of an experienced operator. This ease of use was important to WET to help its operators learn EDM programming. In addition, the control enables WET to run EDM processes overnight and during weekends with an operator remotely logging in to the control to check on a job’s status. Unattended burn times reach 10 hours for some of WET’s parts, and Syzmel can log in remotely to check on the status of work. Pickup cycles or a tooling probe are preprogrammed so even novice operators can easily learn to use the system, which includes hyperlinked information and training tools embedded in the machine control. When operators press cycle start, they can be confident the EDAF3 is going to do what they need it to do. The EDAF3 machine utilizes advanced Z-axis jump motion control to create a hydraulic effect that efficiently evacuates and flushes debris from the cut zone, allowing for improved part quality and greater unattended operation by eliminating the need for manually adjusted flush lines. Producing precision parts is a top requirement for WET, and the company chose the EDAF3 because it’s equipped with HQSF™ (High-Quality Surface Finish) capability and a Z-axis stabilizer, another function critical to enabling WET to consistently produce the tolerances and surface quality the company’s designers specify. The HQSF technology allows WET to achieve finer surface finishes with less cycle time, and the Z-Stabilizer function brings a core-cooled ball screw that delivers 1-micron level Z-Depth tolerances even during high speed jump motions. Since bringing moldmaking in-house, WET has improved surface quality to 0.4 Ra, eliminating the need for most secondary polishing operations on lens molds. “These are optical quality lenses. Light that’s several thousand foot-candles is required to make these amazing shows, so the lenses have to be as clear as possible,” Borrego said. WET’s team not only designs water features but also manufactures the valves and nozzles along with electrical fixtures that transform the fountains into entertaining spectacles of light, sound and motion. Some parts are standard with volumes as large as 4,000 pieces and are often used in WET’s projects. 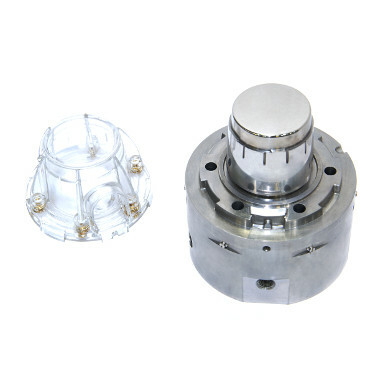 Other parts are uniquely designed for specific applications. In both cases, there are big opportunities to produce the parts faster and for less cost by bringing the EDM processes in-house, Borrego said. When mold work was outsourced, final molded components had cost $3 to $4 each; some cost as much as $12 each. By adding the EDAF3 to make the molds in-house, WET lowered the cost of some parts to $1 each, and the most expensive parts now cost $4 each. As a result, Borrego projects a return on the company’s investment in the EDAF3 to be achieved in less than two and a half years. “From a cost perspective, on every job, we’re saving thousands of dollars in outside EDM work,” Borrego said. Now, WET is working on how to shift the materials and processes it uses for valves and nozzles. The company has always cut features into these brass and acrylic parts using commodity vertical mills. Borrego is confident the company can save additional time and money by changing to plastic injection molding of the parts with molds made on the EDAF3. 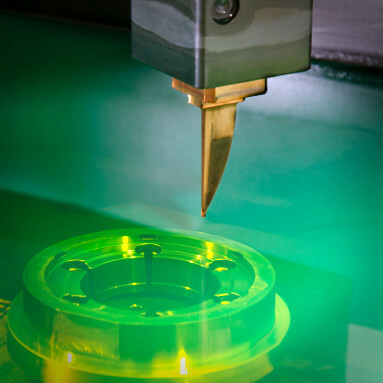 What’s important to WET is manufacturing molds for lighting and water control to a high degree of accuracy to meet a customer’s schedule and other requirements. “Makino has provided us the ability to do that. The simple machine interface, customer support and overall knowledge base that Makino has with their technical staff far supersedes anyone else on the market,” Borrego said. SST and Makino provided technicians who worked alongside WET operators for three days after installation of the EDAF3, teaching them the machine controls and working through programming processes for each application. 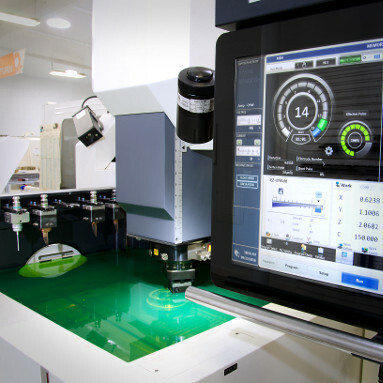 The detailed, hands-on support enables WET to realize another goal for its investment in a precision sinker EDM machine: adding the capability to invent new ways of creating grand experiences. 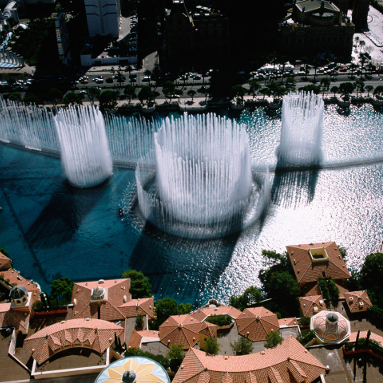 WET designs, manufactures and installs some of the world’s most iconic fountains and engaging public displays, including the famous Bellagio Lake in Las Vegas. The speed and user-friendly interface of the EDAF3 with Hyper-i control has enabled WET to shave one to two weeks off of its lead-times. Equipped with proprietary HyperCut, SuperSpark IV, HQSF and ArcFree technologies, the EDAF3 has improved surface quality to 0.4 Ra, eliminating the need for most secondary polishing. 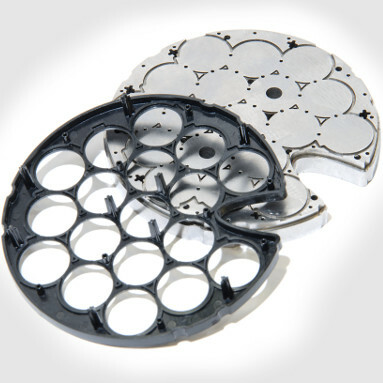 By investing in the EDAF3 and eliminating outsourcing, WET has been able to reduce component cost by up to 75 percent in many applications. WET’s novice and experienced EDM operators both express appreciation for the Hyper-i control’s timesaving support features, such as the E-Tech Doctor process optimization guide. WET’s enhanced in-house capabilities are enabling the company to more rapidly advance its product research and development, helping the company maintain a leadership position in the market.